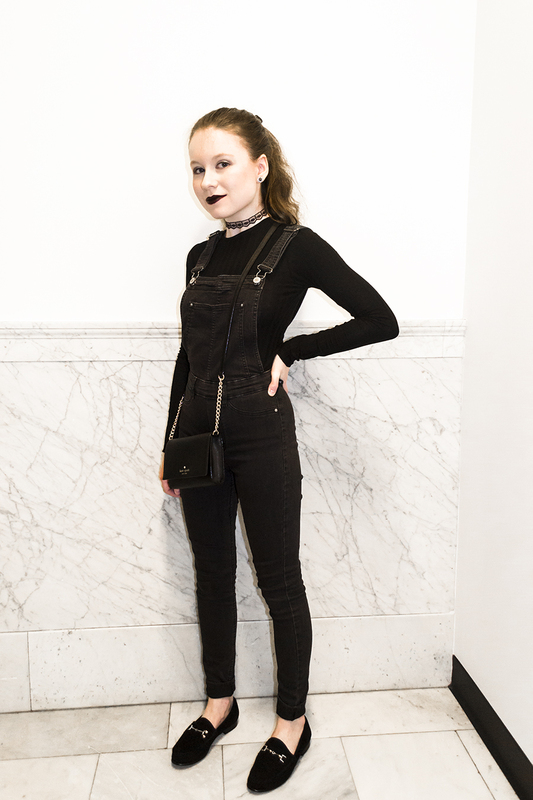 Two things I'm passionate about are wearing black and overalls. I fell in love with this pair when I found them at H&M. They are super comfortable and versatile. I can't wait to style them throughout the fall and winter. 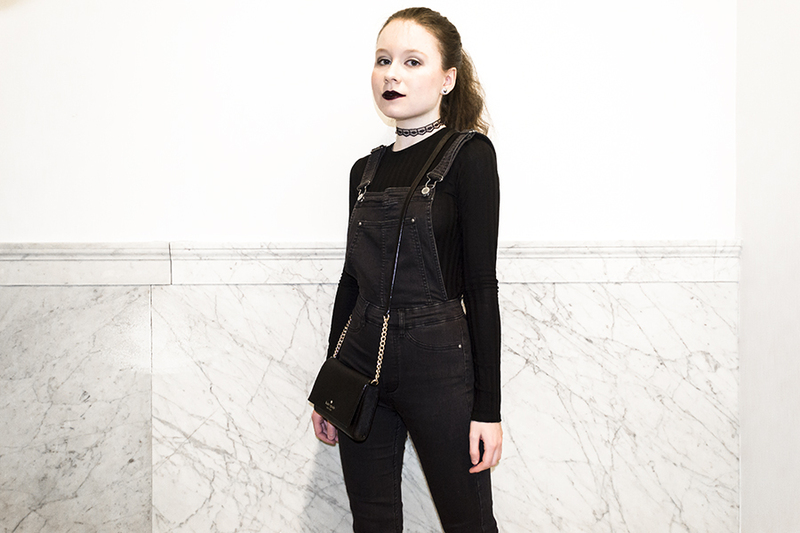 For this look, I styled the overalls in a dark and minimalist fashion. 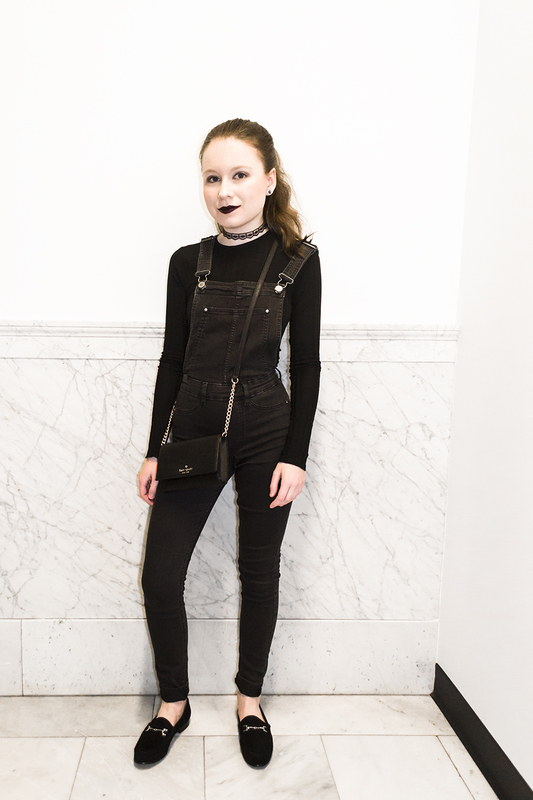 I wore a simple black long sleeve ribbed tee, black suede loafers, a lace choker, and Kate Spade mini bag. A dark lip in the shade "Media" by MAC keeps the look extra edgy and autumnal. Those overalls look so good on you!